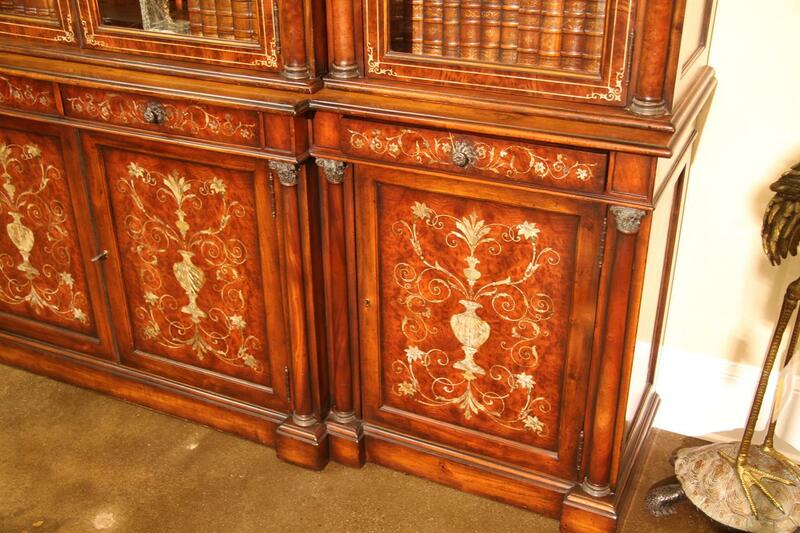 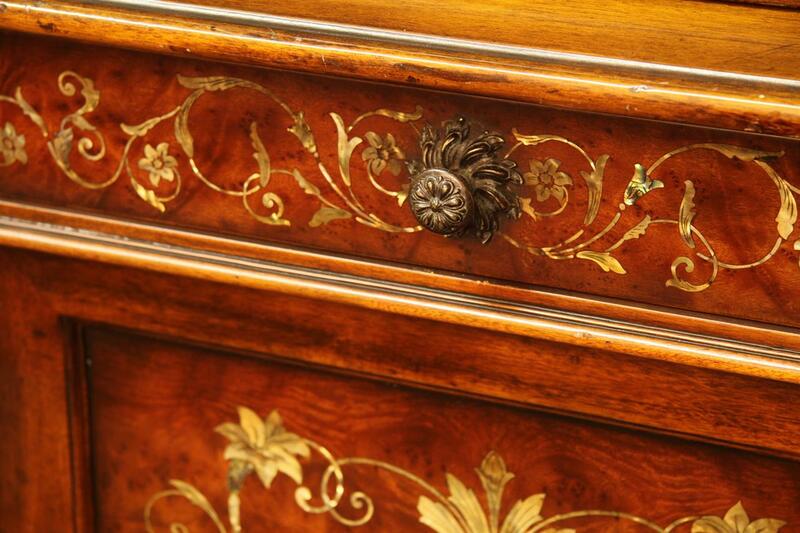 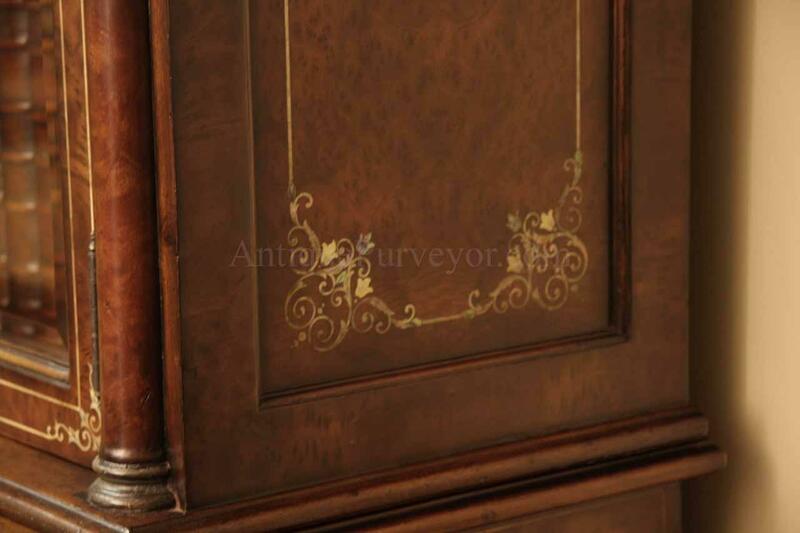 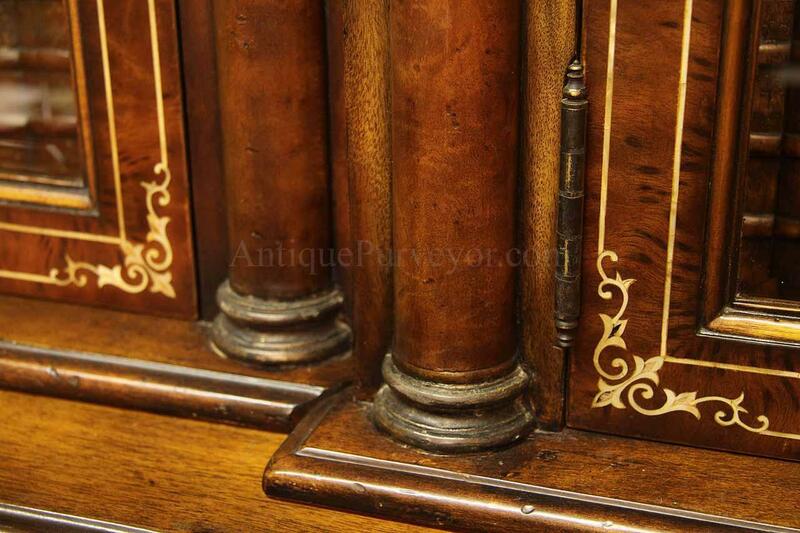 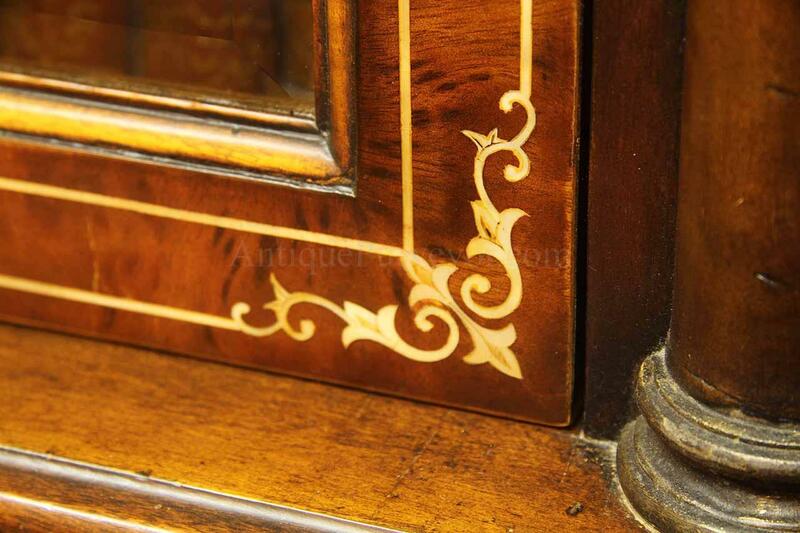 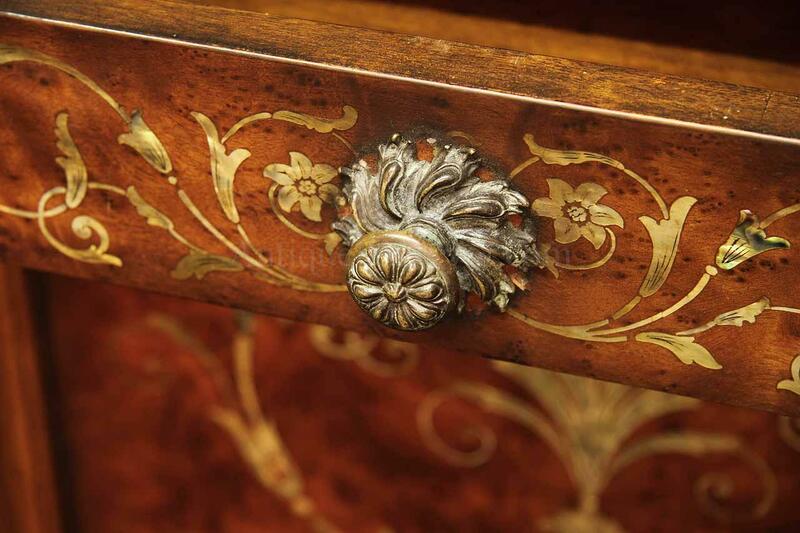 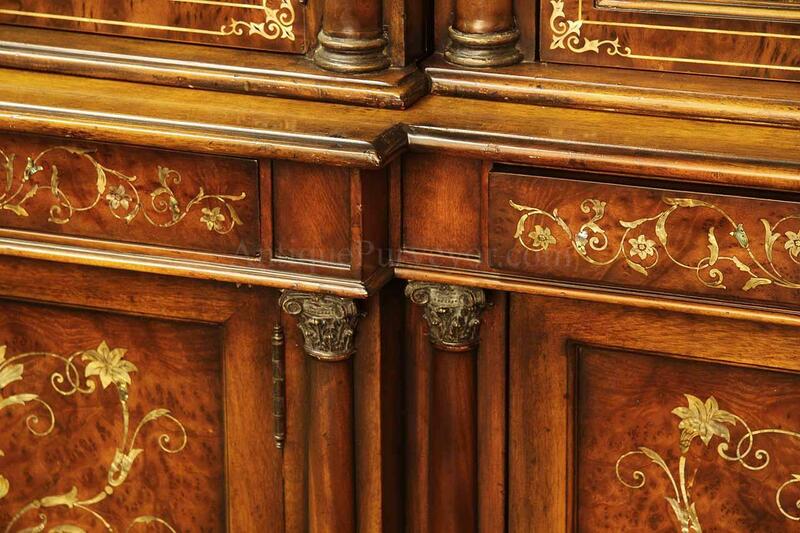 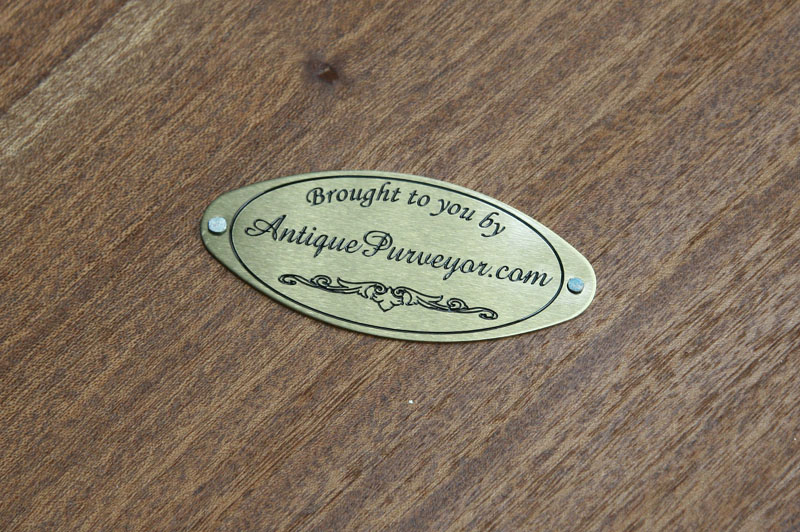 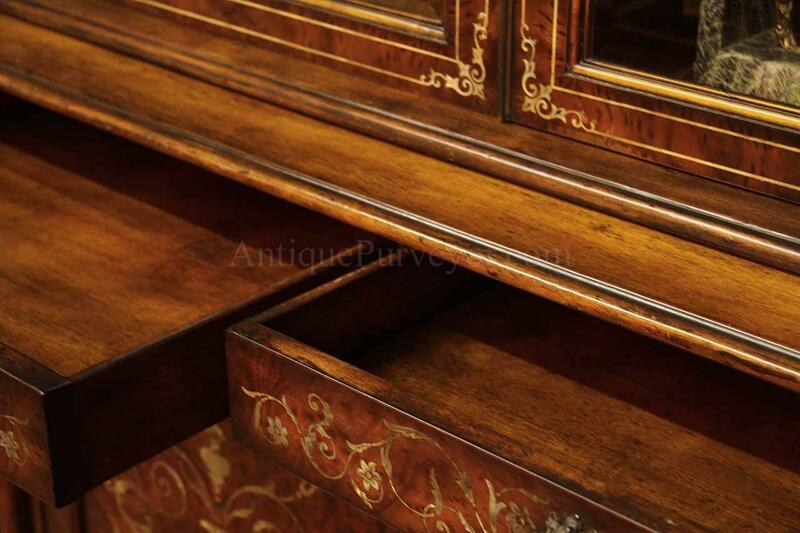 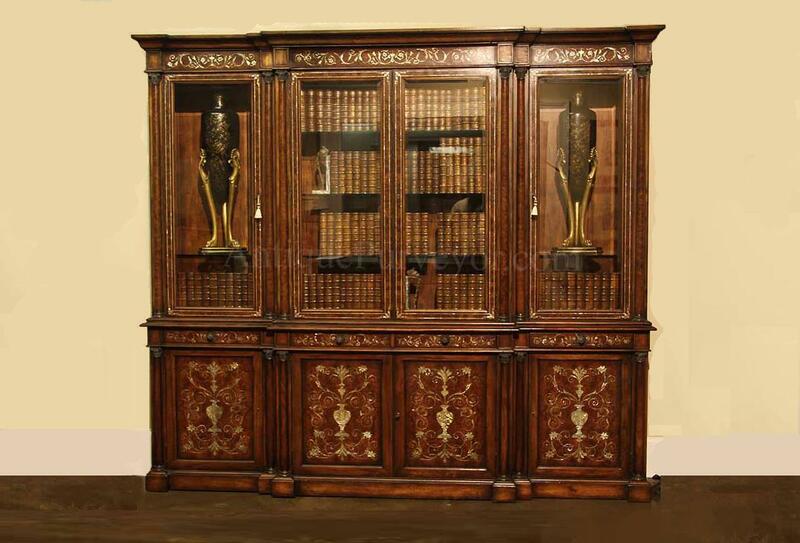 Description: Mahogany and laurel burl china cabinet with mother of pearl inlays. 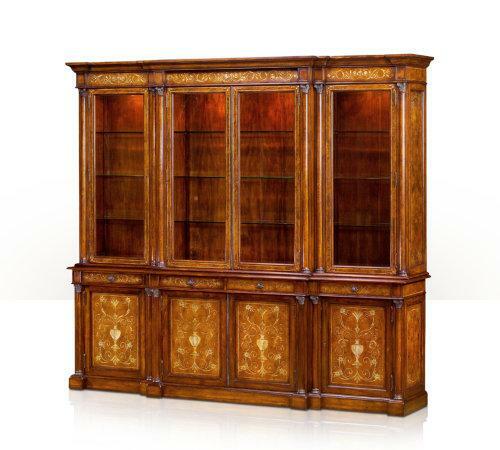 The top of this china cabinet is three peices to make handling safer. 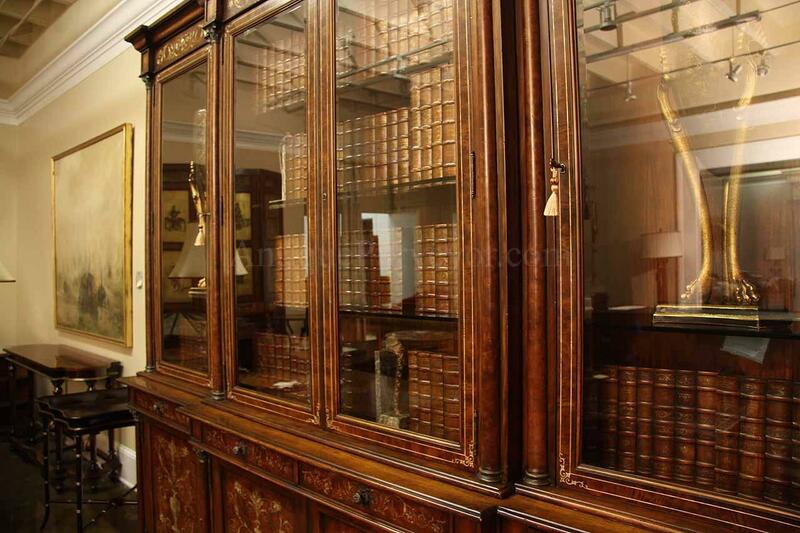 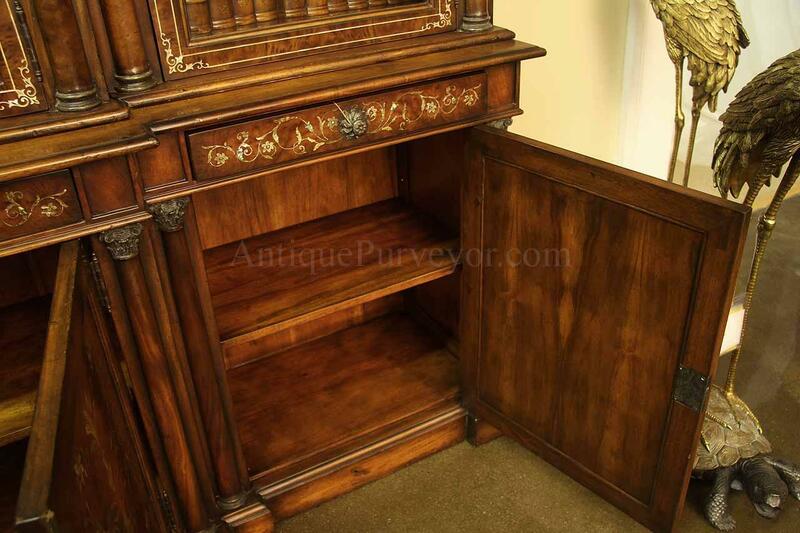 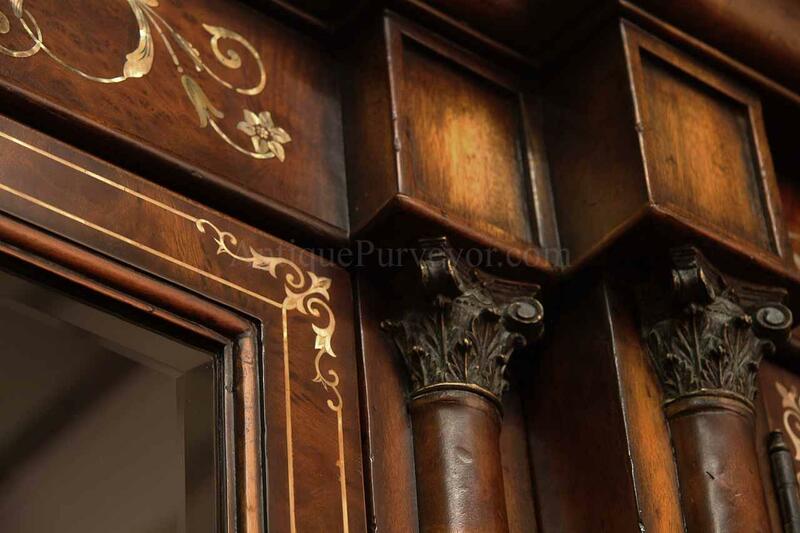 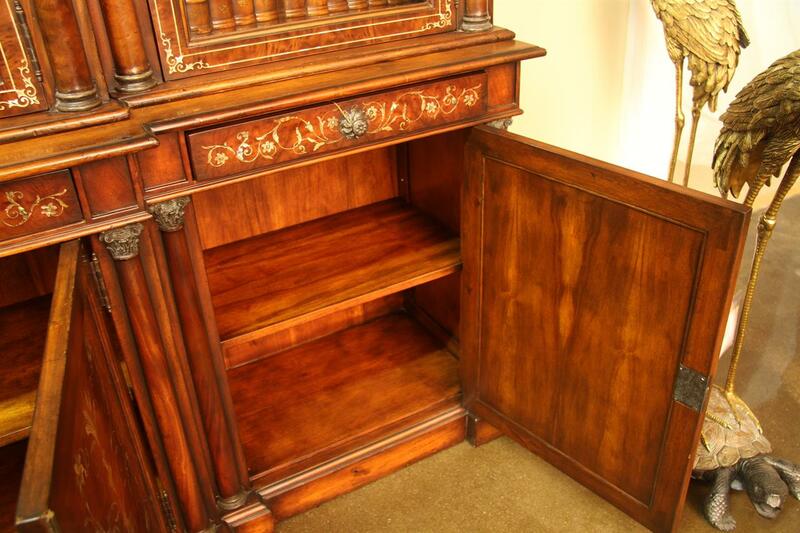 The glass doors have no decorative lattice therefore this mahogany cabinet can also be used as a bookcase for a traditional home office or place of business. 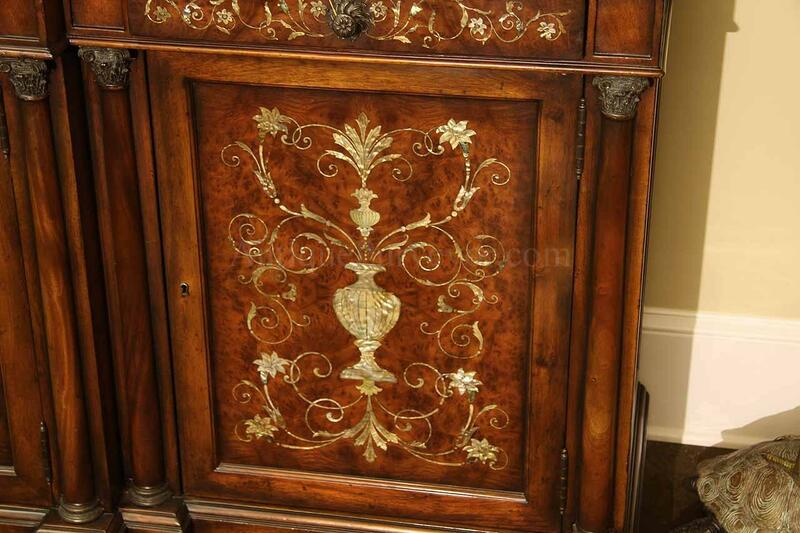 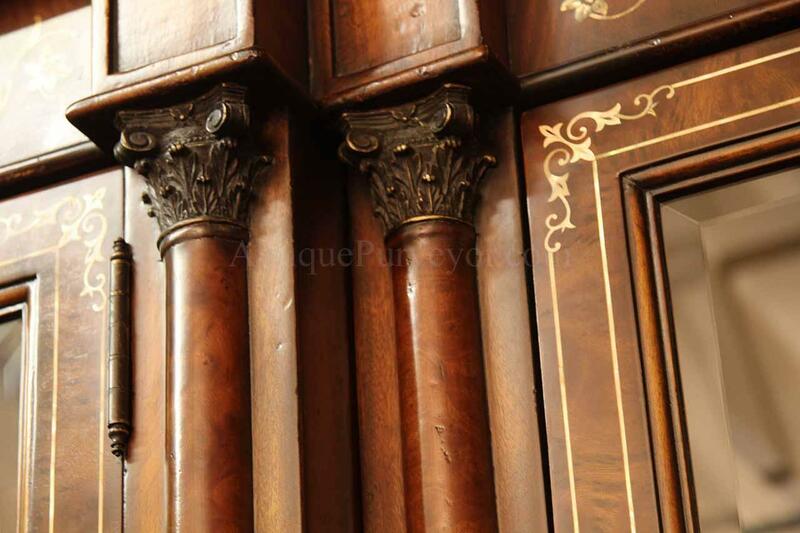 The bottom of the cabinet has an adjustable shelf behind each door with three settings near center. 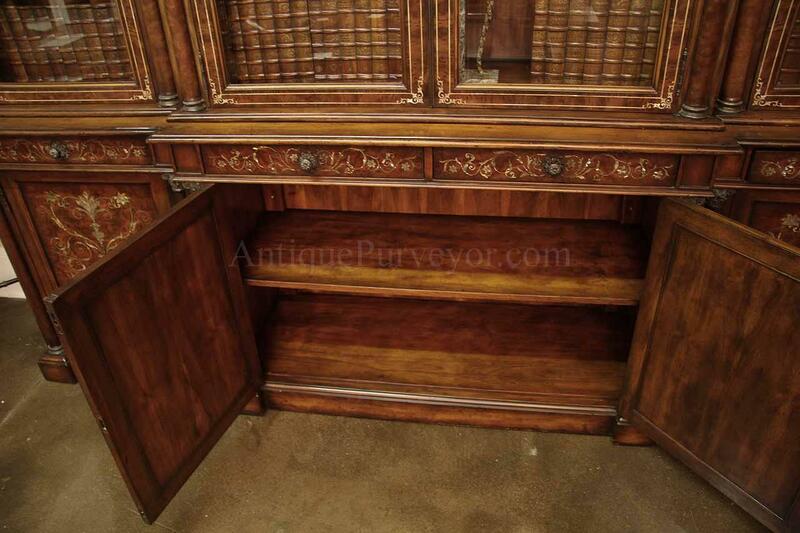 This cabinet is wired with light kit and glass shelves. 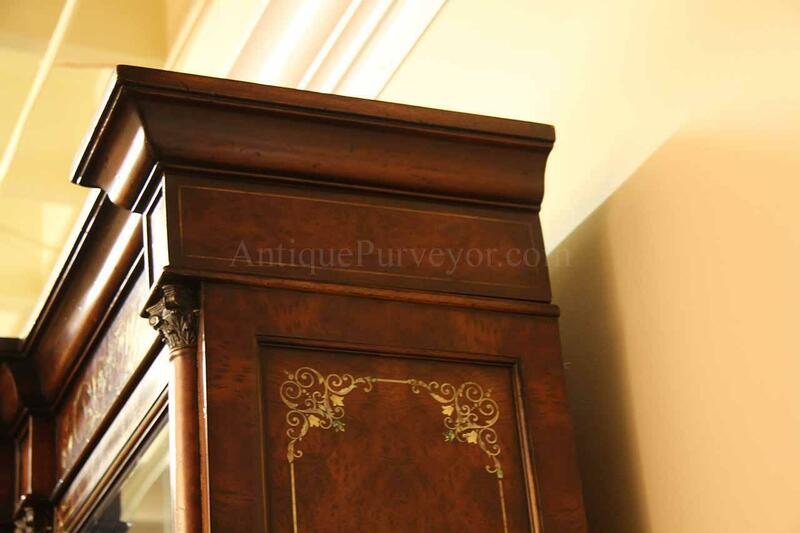 An Empire reproduction with Corinthian coulumns and cornice. 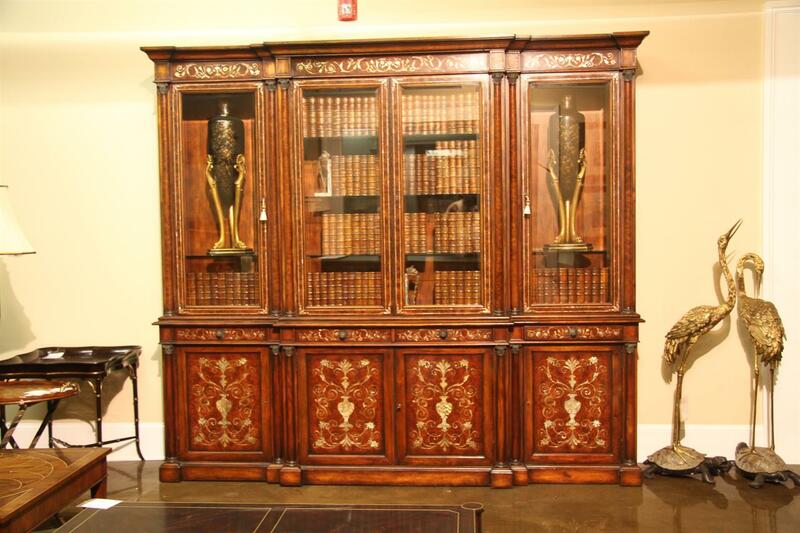 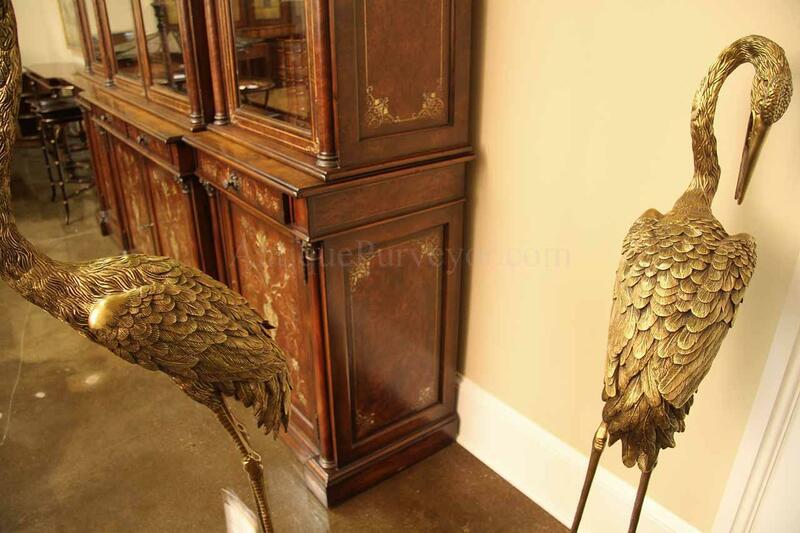 A stately china cabinet for a special home or office.